I have a confession - I'm a LDS General Conference activity packet hoarder. 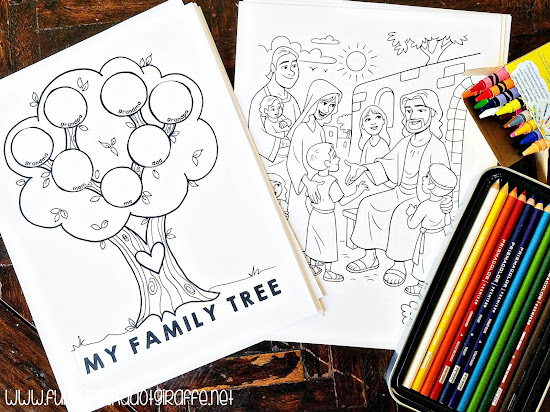 When I find one I like or a coloring sheet that I think would be great for my kids to work on during LDS General Conference, I hoard it in a file on my computer. I have so many now - dating back to 2009 - that my kids could be doing scripture coloring pages until they're eighteen! Every time General Conference rolls around, I promise myself that I am going to go through all of them, pull out my favorites, add in a few of my own, and make the most awesome packet ever. And every time I am scrambling Saturday morning before the first session of conference to find the exact coloring page I remember from back in April of 2014. It's a hot mess! Well, I'm so proud of myself! It is one day before the first session and I am ready to go. OK, so I didn't give myself a huge amount of time before, but hey, I'm ready! 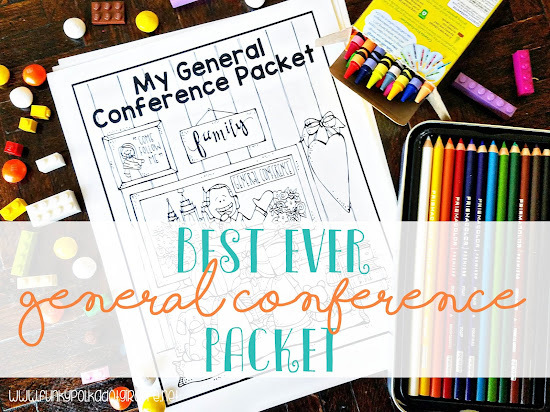 I thought that some of you out there might be like me and be frantically searching for ways to keep your kids engaged during Conference so that you can enjoy the speakers without becoming a referee, a tyrant or an angry mom! So, I have put them all together in one place and you can download them and use the ones you think are super cool - because I only pick the coolest stuff - and leave what won't work for your family. 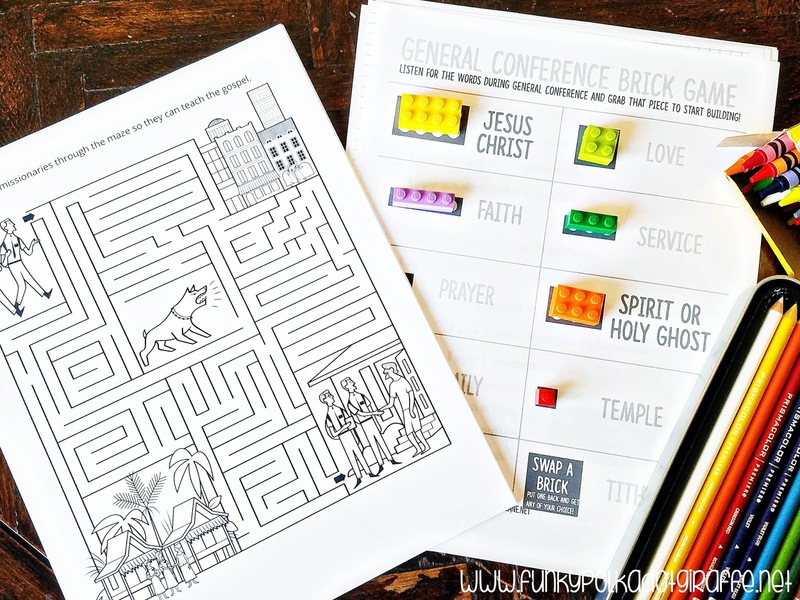 There are a variety of coloring pages, activity pages with crosswords word searches, mazes and codes. There is even a super cool one from LDSLANE.NET that involves LEGOS. It is so cool! I know my kids are going to love it! So, you can either scramble Saturday or Sunday morning trying to find something for your keeps so you don't pull your hair out or you can check my compilation of the BEST EVER GENERAL CONFERENCE PACKET ACTIVITIES and wow your kids with how put together you are. I know which one I'm going to be come Saturday morning! You can find all of my favorite pages HERE in one place. 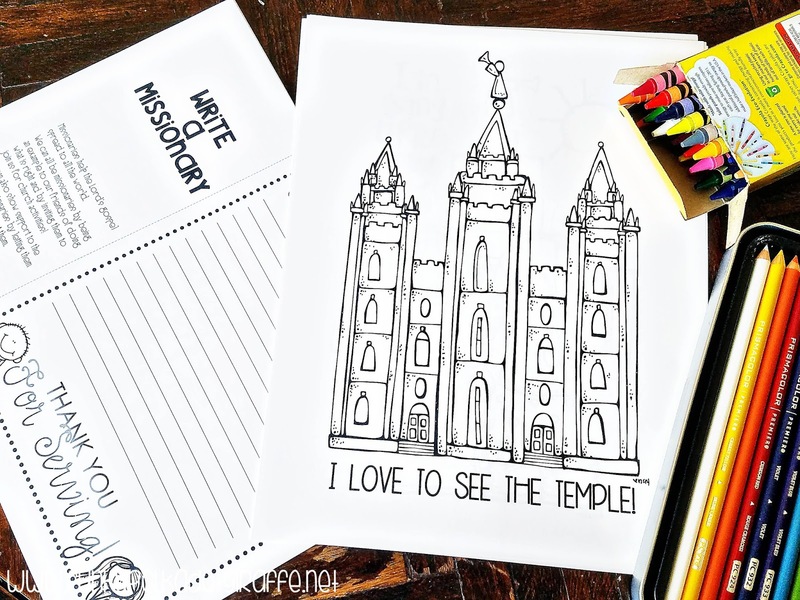 You can also check out my cute GENERAL CONFERENCE SWEET WORDS JARS and my GENERAL CONFERENCE ALTERED NOTEBOOK if you're looking something a little different. I have to give a shout out to all the great sites that I got the images, activities, and printables over the years. Go check them all out and see if there is something else you think would be awesome for your General Conference Weekend!